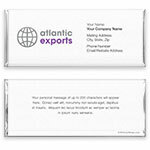 Add your corporate logo, business information and marketing message to this wrapper. Perfect for tradeshows and events, product introductions or employee rewards. 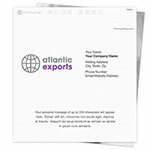 Design: Logo and business card information on a plain background. 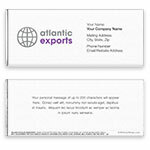 Personalization: Front logo, business card details and back message.